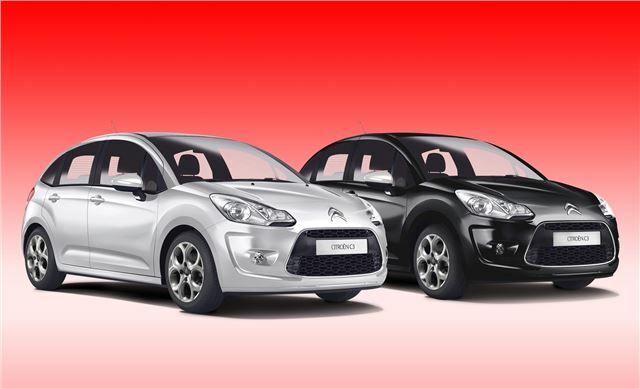 Citroen has introduced two new special edition C3 models for the new year – the Black and the White. They replace the outgoing 1.4i VT model and include an improved standard specification. Prices start at £11,900. Key standard equipment features are air conditioning, 16 inch alloy wheels, front fog lights, white dashboard and mirrors and a chrome bumper detail. The C3 White comes in Polar White while – you’ve guessed it – the C3 Black comes in Obsidian Black. The White is priced at £11,900, £300 less than the outgoing 1.4i VT, and the C3 Black is slightly more expensive at £12,430, owing to the pricier paint job. Both models produce 139g/km of CO2 and have official economy figures of 47.1mpg.They are on sale from January 1 2012.